Despite all the flack that Samsung has been given recently for their latest flagship device, it would seem that at least the battery is surprising people. 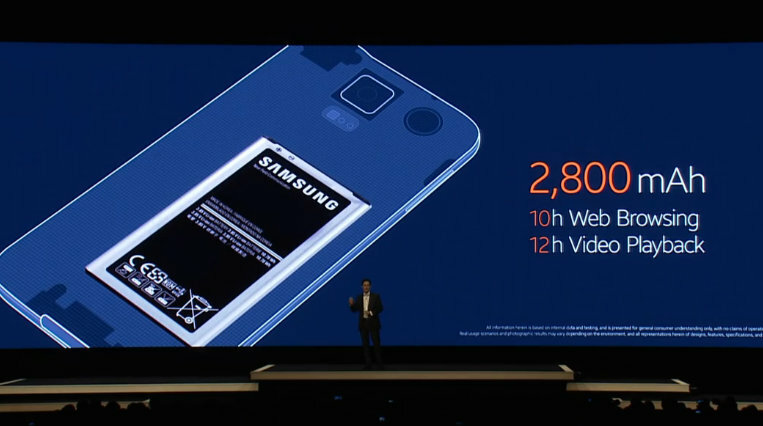 What we mean is that the S5′s battery life when compared to other top smartphones comes out ahead. The series of tests completed was to show how well the Galaxy S5 and other high end comparable smartphones perform with life of battery when using certain activities. With the Galaxy S5 having a 2,800 mAh battery you’d think it would be a little lower on the totem pole but according to these charts that isn’t the case. What we see in these three charts is that the Galaxy S5 actually does surprisingly well in all of them, displaying that even with a battery that holds less power it can still provide longer, better battery life than something has more juice packed inside. Each test was designed to see how well the battery would perform during a specific activity, like 3D gaming, talk time, and internet browsing, all of which might be some of the most battery intensive activities one could do with their devices. In every test the Galaxy S5 was compared to the iPhone 5S, the LG G2, the Sony Xperia Z1, the Galaxy Note 3, and the Nexus 5. Samsung came out ahead of all other devices in two of the the three tests, which were talk time and 3D gaming, with the iPhone 5S barely beating out the Galaxy S5 in the battery life test while internet browsing. It would seem that Samsung has done some things right with this new phone, even if some of us aren’t too fond of the design. The optimizations they have made to the phones software appear to making a pretty big difference in situations where customers will likely be using their phone plenty of the time. Now we all know how some of you feel about test scores when it comes to devices and their stats, and we know that many variables can be taken into account with the way the battery life lasts for some compared to these tests. With that being said, the battery life looks promising for the Galaxy S5, and when you factor in ultra power saving mode the battery life seems to be much more formidable than people expected. The post Samsung’s 2,800 mAh Battery For The Galaxy S5 Was Put To The Test appeared first on AndroidHeadlines.com |.